Constructed of 1” MDF board for a true bounce. Our surface features a glare reducing coating and lines are silkscreened in lieu of paint or tape to eliminate surface inconsistencies. A convenient storage drawer for paddles and balls completes the design for unrivaled beauty and function. Each drawer is padded and fits up to two rackets and 7 balls. 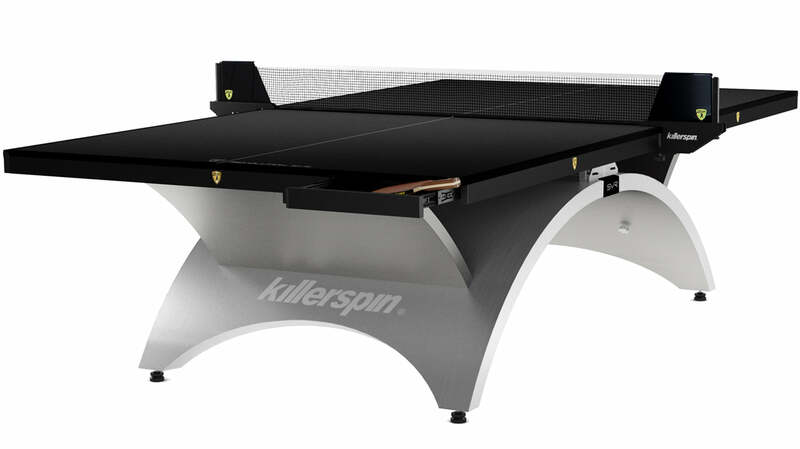 The table base consists of steel construction that is stunningly wrapped in Alu-bond, a composite material, giving the Killerspin Revolution SVR a striking, powerful pose. The table separates into 2 pieces and retractable legs extend to allow for easy mobility. 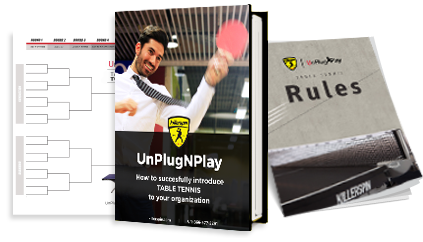 Table feet are adjustable for a perfectly level playing surface. You will applaud the quality and attention to detail.